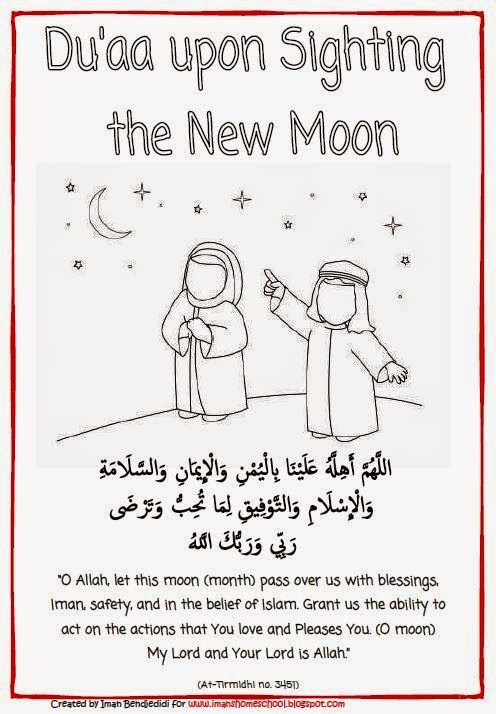 Sharing an adorable coloring page for learning the Dua for Sighting the Moon be Iman’s Homeschool. So adorable Mashallah! May Allah reward the sister for sharing. I found this interesting Moon phases Unit Study which I hope to take inspiration from for our this years Lunar Calendar study. Every year before Ramadan we try and do a review of Moon Phases with respect to the Islamic Lunar Calendar…. The excitement of looking for the new moon for Ramadan and Eid are just priceless……..As exciting these special occasions are the homeschool mom in me cant help but help my kids appreciate the design and mathematics in Allah’s creation. Subhanallah….! Every year as the kids grow they are able to absorb more and more details, which is great!! !